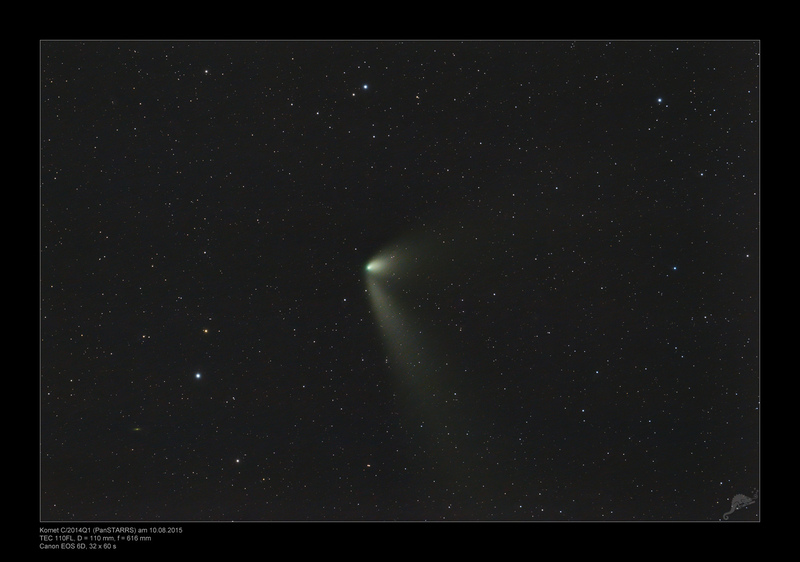 The comet was discovered on 16.08.2014 by the robotic Pan-STARRS 1 telescope in Hawaii. Itincreased its brightness up to 4.5 mag until July 2015 and became weaker in the following weeks. 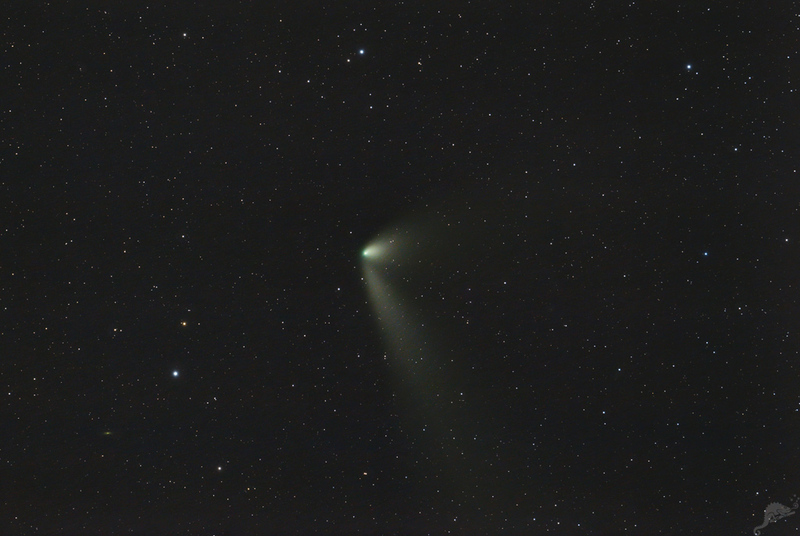 When taking this image in August 2015, its brightness was just about 8.5 mag and the comet had an elevation of only 20 degrees shortly after dusk. The orbital period of the comet is around 40 000 years.